Following 2 successive defeats against Cagliari and Fiorentina and a 2-2 draw against Napoli, has seen Inter Milan dropping points and falling down in the standings of the Italian League, Serie A.
Inter Milan is a club that does not hesitate in sacking their coaches with the former manager Rafael Benitez not lasting 6 months as the coach of the Italian club being an ideal example of just how fast the officials of Inter Milan are in removing a manager who is unable to push the club into the top spots of the league. Not too long ago, Cagliari defeated Inter Milan with an overwhelming scoreboard of 4-1 in the home grounds of Inter Milan at the Giuseppe Meazza. Cagliari is a club that is struggling just to stay above the relegation zone but still managed to convincingly destroy the defensive structure implanted by Walter Mazzarri. Things will only get even more difficult for Inter Milan and Walter Mazzarri as his upcoming fixtures of October and November includes matches against: Sampdoria, Ac.Milan and As.Roma. Those opponents are located in the top 5 section of the Italian League and will be a huge test for Inter Milan and Walter Mazzarri. 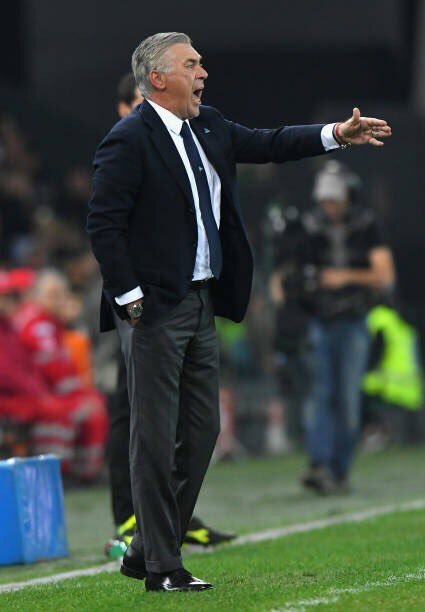 The future of the Italian manager could be in risk depending on the results that Inter Milan manages to obtain in the remaining fixtures of this year. Walter Mazzarri was brought into Inter Milan to replace Andrea Stramaccioni who was sacked after 14 months in charge of the club and only being able to clinch the 9th spot in the Italian League. Besides the Serie A, Inter Milan is also competing in the Europa League and as long as Inter Milan is able to make a serious charge for the major trophy then Mazzarri’s managerial position in the club is safe but if the Italian club is unable on neither claiming a top position in Serie A or making a genuine march for the European title, Mazzarri could very well be sacked. Inter Milan began their new season with yet another disappointing result after a 0-0 draw with Torino. Under pressure manager Walter Mazzarri signed a new contract extension during the off-season, which raised a lot of eyebrows given that the former Napoli manager oversaw a terrible finish to the campaign. After signing players like Nemanja Vidic over the course of the summer, there were reasons to be confident about Inter Milan returning back to the top three of the Italian Serie A. However, the season began in poor fashion after Inter failed to convert their chances and draw the match against Torino. There was even a danger of the home team taking the lead in the match but Inter’s goalkeeper Samir Handanovic made an excellent save from the penalty taken by Marcelo Larrondo. A goal for Torino would have changed the landscape of the match and it would have also raised doubts about Mazzarri’s future as the Inter manager. It has been a few years since the club were last seen in the Champions League. Without the £ 30 million+ revenue from this competition, Inter may not be able to sustain having top players like Vidic in their ranks. Mazzarri will be hoping to get the team to their first win of the season when they host Sassuolo at the San Siro after the international break. “It was a balanced and difficult game, which we knew it was going to be, as it’s never easy to play in Turin where they sit back and wait for you. We tried to win right to the end, but didn’t take our chances. Gary Medel was making his debut and did very well. Overall we played well and it’ll be tough for everyone here,” said the former Napoli boss, who has also expressed his interest to bring in a few players on deadline day. Shelling out an approximate 20 million pounds, Inter Milan is all set to bag the ace centre, Nemanja Vidic. The international footballer from Serbia is being welcomed by San Siro, for a three year stretch contact which is costing Inter Milan 20 million dollars. Vidic’s contract with Old Trafford was expiring this summer as he signs his new deal. This thirty two year old centre back is expected to earn 6 million pounds a year with Seria A, now that the £20m has been put on table. With him gone from Old Trafford, Man United boss David Moyes will need to work hard to find a replacement for Vidic. Manchester United got Vidic way back in 2006 with 7 million pounds from Spartak Moscow. It is quite likely that along with his departure, Moyes may also face with the loss of talent in the form of Patrice Evra and Rio Ferdinand from the team. Defender Patrice Evra has been reported to be in conversation with Piero Ausilion, Inter Mialn’s sporting director this week in London and might leave Old Trafford along with Nemanja Vidic, end of this summer. The thirty two year old defender’s contract with Manchester United ends in 30th June this year post which he will be made available for auction in the typical Bosman style transfer. Meanwhile, ex Inter Milan, Jose Mourinho seems to be all set to be back to the club if Roman Abramovich chooses to let him go from Chelsea. He comments that at the moment he is pretty happy to be with Chelsea, but there is a good chance that in the forthcoming time Abramovich might decide to let him go. If that happens he will chose none but Inter among all Italian clubs.